Mike Tyson is well-known for his toughness and bravado, but he’s letting a softer side emerge following the accidental death of his 4-year old daughter, Exodus. 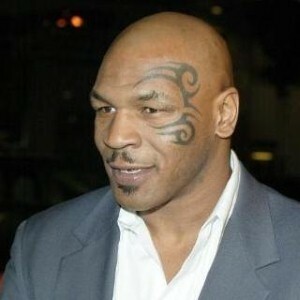 On a recent appearance on The Oprah Winfrey Show, Tyson said he had to learn to let his anger go in order to deal with the devastating situation. “It just kicked in – boom! – I started going about it responsible, doing what has to be done. She had to be buried, she had to be taken care of. I didn’t have no animosity, I didn’t have no anger toward anybody,” the former heavyweight champion boxer told Winfrey. Tyson also said it helps him to believe that Exodus is now an angel watching over him. “I would like to believe that; it sounds great,” he said. He said he has relied heavily on his wife and other children for support following the accident in which Exodus was accidentally strangled with a treadmill cord inside his Arizona home. “My first instincts were a lot of rage but I know where that’s going to lead me. I want to win, I’m tired of losing. I want to win now. I’m just fortunate that I have children by another woman, and we’re just so damn close, and I have this family. That’s my biggest asset,” he said. Tyson is no stranger to controversy. While still known as one of the greatest boxers of all-time, his life and career have been marred by allegations of physical and sexual abuse, drug addictions, prison time, bankruptcy and headline-grabbing behavior.